The veterans will compete in caber tossing, hammer throwing and tug of war after Harry’s Invictus charity joined forces with the Mey Highland Games. The first Invictus Highland Games is scheduled to take place at the Castle of Mey, Caithness, home of the late Queen Mother, this summer. The annual Mey Games – which Prince Charles is the chieftain of – was once one of the smallest events on the Highland games calendar. But up to 10,000 spectators are expected this year after the Invictus Games Foundation, founded by the Duke of Sussex in 2014 to ‘harness the power of sport to inspire recovery’, agreed to help promote the event. Former service men and women from around the world will descend on John o’Groats in August to take part in the new games and Prince Harry will try to attend the games. Harry has been an inspirational champion for Britain’s brave soldiers, wounded and disabled on the battlefield. Organiser Captain Richard Otley said: “A few years ago the Mey Games was dying and we were only attracting a few hundred visitors – it was more like a village fete. “Last year we decided to try something new and got paraathletes involved to hold Scotland’s first adaptive and gender inclusive Highland Games, which drew a crowd of almost 3,000. Prince Charles normally judges the tug of war at the Mey Games. 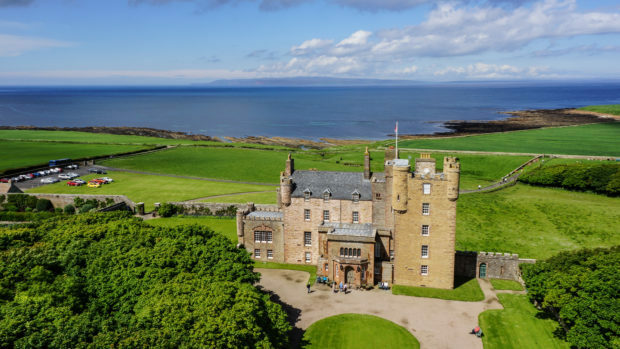 The games fall at the end of the week he spends every year at the nearby Castle of Mey to keep up the memory of his grandmother who died in 2002 aged 101. It was the only home she actually ever owned.